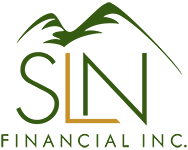 December 7, 2016 - Life Insurance – The Unexpected Holiday Gift for Grandchildren | SLN Financial, Inc.
Each person has a unique life that drives what decisions make the most financial sense. If you’d like to explore if gifting a life insurance policy to your grandchildren is right for you, we’re happy to talk. Please contact us today. We look forward to helping you make the most of your gifting opportunities this holiday season.